What if superheroes were real? And what if one day they all disappeared? In DANGER CLUB, a new Image Comics series by Landry Walker and Eric Jones, the fate of the world is in the hands of the allies that the heroes left behind — their teenage sidekicks. 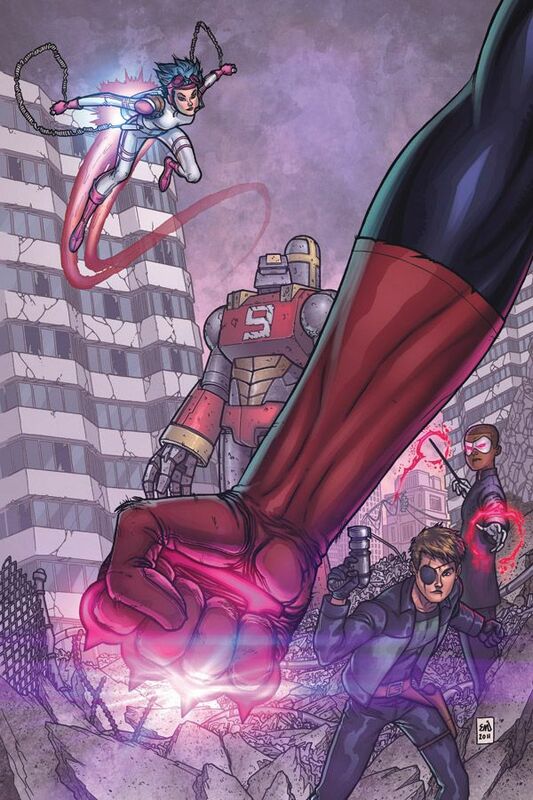 It’s up to the this rag-tag and fragmented group to battle the immense cosmic evil that threatens the world. But the fight could be over before it even starts if the sidekicks’ struggle for dominance destroys them from the inside. Walker and Jones are no strangers to superheroes. However, the creative team behind Supergirl: Cosmic Adventures in the 8th Grade and Batman: The Brave and the Bold, still feel like they’ve undertaken something new. DANGER CLUB #1 will be in stores and digital platforms on April 4 and is available for preorder in the February issue of Previews. A three-page preview appears in INVINCIBLE #89, in stores on February 29.